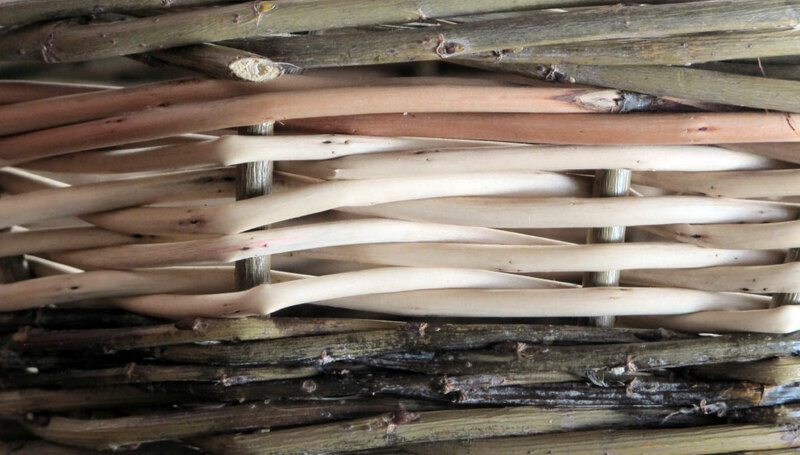 I’ve been hankering after a new skill that doesn’t have a relationship with a computer screen and this one-day, beginner’s willow basket weaving course at Windmill Hill City Farm seemed just the ticket. A lot of information to take in over a short day but a really good course. It’s totally absorbing – you need to remember sequences of weaving patterns, learn some wonderful new words, like slipe, waling and slath and make judgements based on tactile and visual senses; stimulating for the brain but it is hard on the hands. The greatest challenge was making the border that finishes the basket; it was the end of the day and I was cold and tired and hearing what I was supposed to be doing was like listening to those calls at a Ceilidh where you’re weaving with people, “two in front and one behind, pass together, peel around….” – I’ve never been able to follow those either! And then we ran out of time before I could complete it which seemed like a disaster. 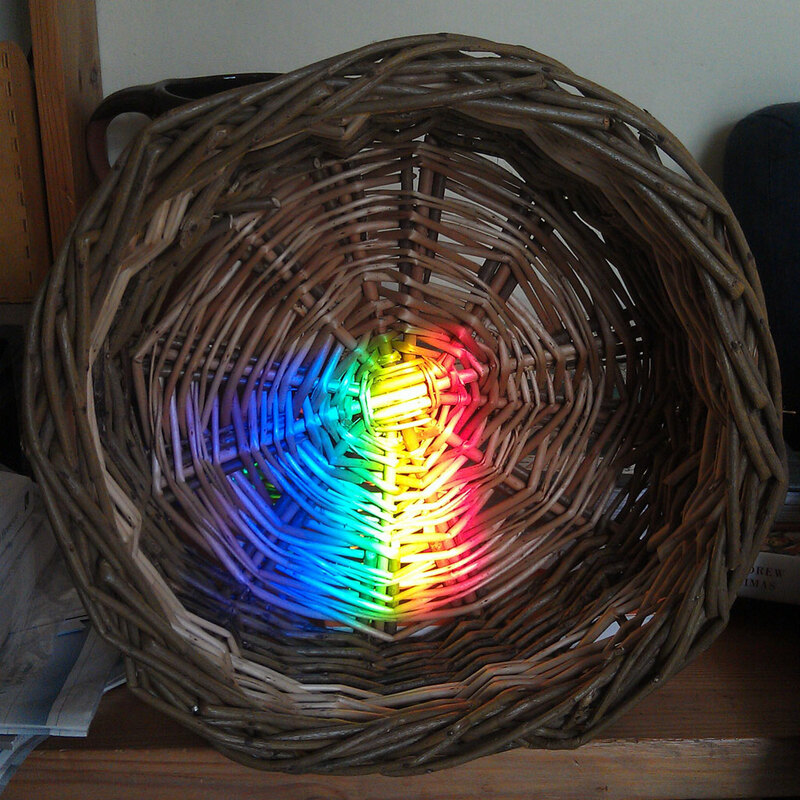 So I took my whiskery basket home and the next day tried following written instructions that seemed as impenetrable as computer code but when I eventually worked it out I was triumphant, and realised in the process that basket making is a form of engineering. Definitely felt as though I’d acquired some new, yet very ancient, knowledge and maybe created some additional neural pathways. I took the photos as a reminder of the stages so I can do some more at home, so not great shots but after posting a photo of the finished basket on Facebook it generated such a lot of responses I thought it might be of interest to show how the basket evolves from a pile of sticks to an incredibly strong and durable container. This entry was posted in Inspirations and stimulations and tagged basket weaving, Windmill Hill City Farm. Bookmark the permalink.